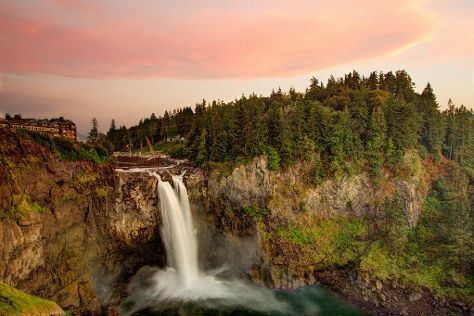 Get outdoors at Snoqualmie Falls and Seahurst Beach Park. Head to Chihuly Garden and Glass and Pike Place Marketfor some retail therapy. You'll find plenty of places to visit near Seattle: Tacoma (Owen Beach & Point Defiance Park), Edmonds (Marina Beach Park, Brackett's Landing South, & more) and Duthie Hill Park (in Issaquah). Next up on the itinerary: delve into the lush surroundings at Harstine Island State Park, kick back and relax at Doris Cooper Houghton Beach Park, take in panoramic vistas at Space Needle, and have some family-friendly fun at Wings Over Washington. For where to stay, traveler tips, and tourist information, go to the Seattle road trip planning app . In August in Seattle, expect temperatures between 80°F during the day and 61°F at night. Finish your sightseeing early on the 8th (Thu) to allow enough time to travel back home.